On Saturday we asked if anybody had received their season tickets yet because none of our friends and family had received theirs. 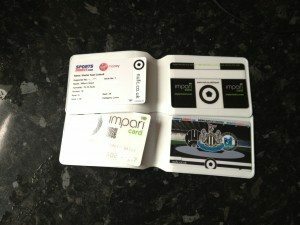 Newcastle United had announced that season tickets were starting to be sent out as from Monday (6th August) & everybody should receive them by 14th August at very latest and only after then to contact the ticket office if they haven’t arrived. 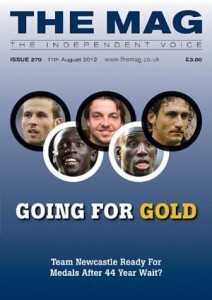 So just out of curiosity we also asked if people could send in a photo of their new season ticket and we’d pick somebody at random to win a free copy of the 2011/12 NUFC Season Review DVD. Thanks to the excellent response via email, the website, facebook, twitter etc and while I wouldn’t claim our findings are in any way scientific, it is a bit worrying that well over half the fans said they were still awaiting their season ticket. Hopefully everybody’s letter boxes will be rattling today…. Thanks to Samuel Cottrell who was the first person picked at random and he wins the season review DVD and it’s his season ticket photo that appears above.